Fishkill, NY – With just a few weeks before the onset of the Jewish New Year, there are still many Jews who have no plans to attend synagogue services this High Holiday season, said Rabbi Zalman Sandhaus of Pardess Center for Jewish Life. With this in mind, Pardess is offering friendly and welcoming services for free for the Southern Dutchess County Jewish community. The Center is located at 15 Aspen Court in Fishkill, however services will be held at 261 Baxtertown Road in Fishkill. While many may not be affiliated with a synagogue, other may find the cost unaffordable, particularly in light of today’s flailing economy said Rabbi Sandhaus. 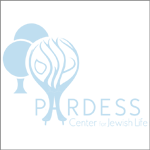 By providing free Rosh Hashanah and Yom Kippur services in a warm and inclusive setting, Pardess hopes to accommodate those who may otherwise not be celebrating the holiday by creating “user-friendly” services for both the beginner and the advanced. Song, commentary and the use of English-Hebrew prayer books, enable those of all levels to become active participants in the services. Rosh Hashanah begins this year at sundown on Sunday, September 13 and extends until nightfall on Tuesday, September 15. Yom Kippur begins this year after sundown on Tuesday, September 22 and extends until nightfall on Wednesday, September 23. Rosh Hashanah, the Jewish new year, is observed this year on the eve of September 13 through September 15. Meaning “head of the year” the two day holiday commemorates the creation of the world and marks the beginning of the Days of Awe, a 10-day period of introspection and repentance that culminates in the Yom Kippur holiday. Yom Kippur—the Day of Atonement—is considered the holiest day of on the Jewish calendar. Beginning this year on the evening of September 23 until after nightfall on September 23, it marks the culmination of the 10 Days of Awe, a period of introspection and repentance that follows Rosh Hashanah, the Jewish New Year. According to tradition, G‑d decides each person’s fate on this day, so Jews mark the day by making amends and asking forgiveness for sins committed during the past year. The holiday is observed by fasting and prayers. *The custom of substituting the word “God” with G‑d in English is based on the traditional practice in Jewish law of giving God’s Hebrew name a high degree of respect and reverence.